Our resistance and rebellion are not new, but like other times in history have come to a critical mass, and the bravery of those in Ferguson and across the country captured the attention of the world. A year ago, over 2,000 of us gathered in Cleveland to reflect on the state of our movement for liberation and celebrate our people, both those who have fallen and those who have survived. It was there that we began the process of uniting to articulate a shared vision of the world we want to live in. Cleveland reaffirmed what we already knew. Neither our grievances nor our solutions are limited to the police killing of our people. State violence takes many forms – it includes the systemic underinvestment in our communities, the caging of our people, predatory state and corporate practices targeting our neighborhoods, government policies that result in the poisoning of our water and the theft of our land, failing schools that criminalize rather than educate our children, economic practices that extract our labor, and wars on our Trans and Queer family that deny them their humanity. On the last day of the conference hundreds gathered to have strategy conversations about what liberation would look like and the policies, organizing and resources that would be needed to get us there. During those conversations we received a mandate – it was time to articulate our vision and unite behind it. 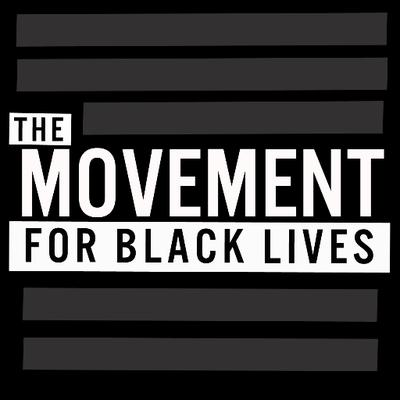 In response to this mandate, the Movement for Black Lives Policy Table engaged in a year long process of convening local and national groups to create a United Front. The result of our collective efforts is this platform. In addition to the groups in the United Front, we have also engaged our people. We have received feedback from hundreds of people through surveys, national calls, organizational membership, engaged dozens of other organizations, researchers, and other individuals for their insights and expertise to begin developing a framework for shared policy priorities. It does not include every policy Black people should be working on, but elevates those for which there was shared energy and action in this political moment. Our hope is that this is both an articulation of our collective aspirations as well as a document that provides tangible resources for groups and individuals doing the work. We recognize that some of the demands in this document will not happen today. But we also recognize that they are necessary for our liberation. For each of the 30+ policies in the document, we have policy briefs that describe the steps that must be taken to get us closer to our liberation. These briefs include information about whether legislation can happen at the local, state or federal level, information about groups already working on related projects, and resources including model legislation and talking points. We want this platform to be both a visionary agenda for our people and a resource for us. We take as a departure point the reality that by every metric – from the hue of its prison population to its investment choices – the U.S. is a country that does not support, protect or preserve Black life. And so we seek not reform but transformation. As this platform launches in the context of the Democratic National Convention, we also recognize that neither mainstream political party has our interests at heart. We know all too well that the reforms that have passed at the local and state level do not address the root causes of the killing, dehumanization, and torture of our people. Instead, many increase police budgets and diagnosis the problem as one of “implicit bias” or “bad apples.” At best these are band aids on gaping bullet wounds, and at worse they are interventions that simply increase corporate and state power and make it easier for the state to devalue and destroy our communities. Our history has taught us that we must create our own agenda, we must implement it, and we must hold elected leaders accountable to following through. In a long tradition of Black covenants for Freedom, from the African National Congress Freedom Charter to the Black RadicalFreedom Agenda, we offer this document as an articulation of our aspirations in this moment. We are Black people from all walks of life – young, elder, queer, cis, trans, differently abled. 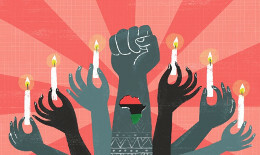 We have come together in the rich tradition of our ancestors to imagine new ways forward for our liberation. We are dreamers and doers knowing that our work draws on the best of our history but must go beyond it to forge a fierce, free and beautiful future together that we can only imagine into reality.